The deafening boom stopped the birdsong. A sluggish coil of smoke from the pistol lingered, a tracing of chalk on the air. In an instant, the noises flooded back. The birds’ warning cries shrilled in her head, the snap of their wings like brittle sticks hitting flagstones. Frantic stragglers dodged her and winged after the flock. She had commanded Yasir to take her with him. Would his magic fail again in his weakened state? Before this, she had suffered from Peter’s violence. Her husband had an even better reason now. Lavinia ran, bloodied skirts in her hand, the gravel of the path sinking at the pressure of her footfalls. Fear made her fleet. If the djinni could not help her, the garden ended at the wood’s edge. After the woods there was a road. Then what? And where? She kept her pace even when the pull of the djinni’s magic made each step lighter. Even when the garden blurred as she was swept away. Claudia Herring aspired to be a baton twirler when she was five and an archaeologist at thirteen. When she became a graphic designer and an author of fantasy, she decided she’d hit upon the perfect compromise. 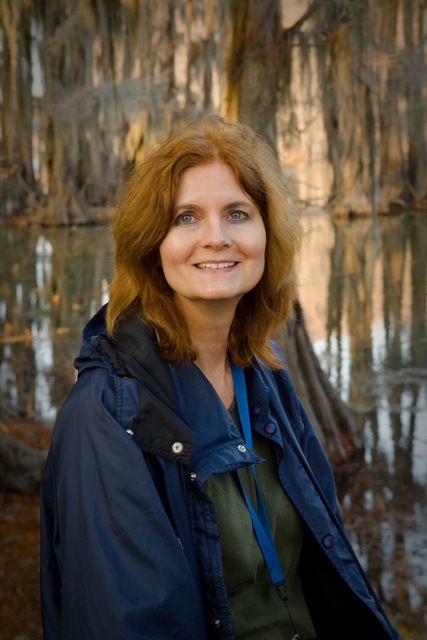 Her novel, His Master’s Bride, a historical fantasy with romantic elements set in Regency England, won first prize in the Houston Writer’s Guild Novel Competition. 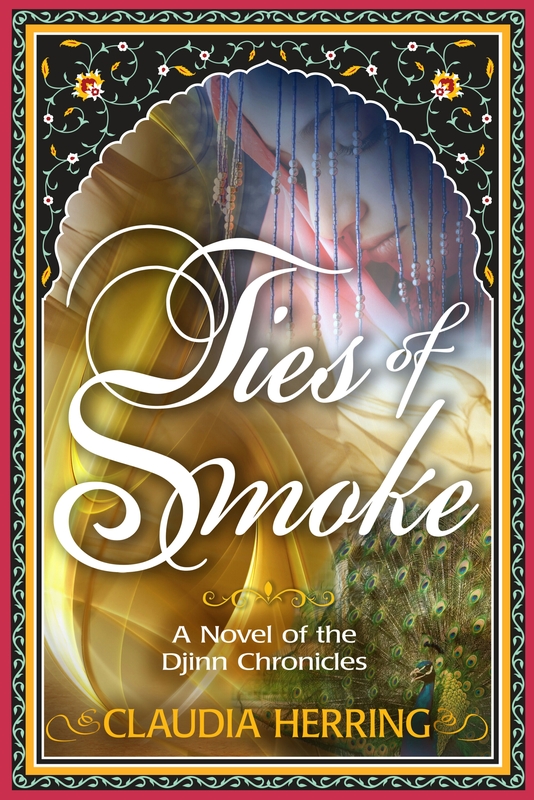 Ties of Smoke is the second in the series The Djinn Chronicles. When she’s not delving into the world of the Djinn, Claudia is practicing yoga to go to that hushed space where she imagines and plots her next fantasy novel. If you like Diana Gabaldon’s Outlander series or Carol Berg’s Soul Mirror series you’ll love His Master’s Bride and Ties of Smoke. The cover of this book is gorgeous. Thank you, Debra. I designed it, trying to represent the mood of my novel. Thank you for hosting my novel, Ties of Smoke. Great Job. Thank you for checking it out, Lisa. I absolutely love the book cover. Cathy, thanks so much. I designed it and think it reflects the mood of the novel. Seems like a very intense and stressful time for the characters. Yes, Lavinia and Yasir go through a lot! Thank you, I designed the cover to reflect the mood of the book. Have a wonderful weekend, James and thanks for checking the site out!